Children at three schools in the Western Division were all smiles yesterday following the opening of reconstructed classrooms and new blocks through Government assistance totalling $3.567 million. The reconstructions were due to school structures being devastated by Cyclone Winston last year. Students, teachers and parents were elated to hear how Government wanted new building codes for all schools so that buildings would withstand future cyclones. Minister for Agriculture, Rural and Maritime Development and National Disaster Management, Inia Seruiratu who opened the classrooms on behalf of Prime Minister Voreqe Bainimarama, said all schools that had been damaged by Cyclone Winston had been either reconstructed or new classroom blocks built to a higher standard. He said Mr Bainimarama had to attend an urgent dental appointment. Mr Seruiratu was accompanied by the Minister for Local Government, Urban Development, Housing, Environment, Infrastructure and Transport Parveen Bala. At Ba Sanatan College they were joined by Minister for Health Rosy Akbar, Commissioner Western Manasa Tagicakibau and the Head of the Construction and Implementation Unit in the Ministry of Economy Shah Mohammed. Father Nimilote Petero, manager of Vatukoula Convent School said the joy and smiles on the faces of the children yesterday showed their happiness. Father Petero said the school committee had been wanting to renovate the school for a long time and plans were being done. He said, however, the cyclone came and brought havoc. Parents, teachers and students were happy with Government allocating $321,000 to reconstruct the school and also build the new Early Childhood Education Centre. “After the cyclone, we had to shift two classes into tents, I opened up the Parish Hall which catered for three classes, including the kindergarten students while the rest carried on in the four classrooms that were not damaged,” Father Nimilote said. “With the opening of the reconstructed classrooms, normalcy is just around the corner and we thank Government,” he said. Arya Kanya Pathshala Primary School in Ba was one of the more severely damaged schools with its top floor completely damaged. Government’s $1.344 million assistance saw the top floor completely re-constructed and a new two-classroom block. Head teacher, Rajesh Lal, said following the cyclone, the 428 students had to re-adjust themselves, with classes two, four, seven and eight combining two classes together. “So in one room we had like two class eight streams with close to 60 students sharing one room,” Mr Lal said. 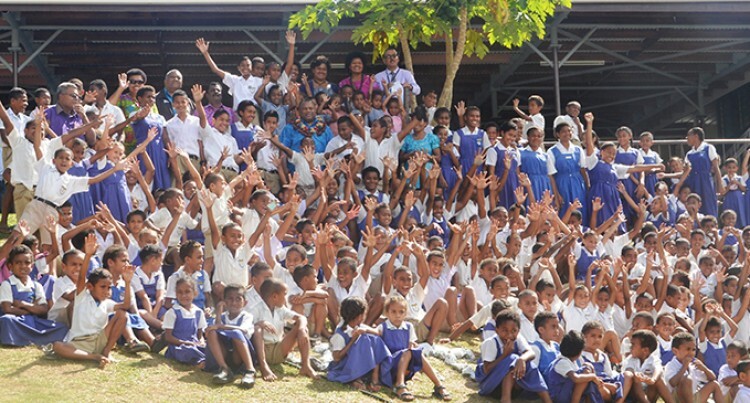 “Now we are back to normal and the whole school fraternity would like to thank Mr Bainimarama and his Government for the assistance,” he said. Ba Sanatan College had reconstruction done to the top floor of its two storey block and a new six-classroom block constructed through a $1.902 million assistance from Government.School manager Narendra Padarath said the Sanatan family was appreciative of Government’s assistance.